Rochester: October 19, 1935-August 28, 2017, 81 years old. Charlie was predeceased by his parents, Charles Hurd and Katherine Kowalchek, and his only sister, Julie Hurd-Snyder. He is survived by his children Sue (John Stevens), Chuck (Bea), John (Beverly), Jim, Laura (Andy Alvarez) and Eric (Andrea); grandchildren Stephanie, Anthony, Amy, Bridget, Johnnie, Brian, Rachel, Andrew, Ashley, Anderson and Stella; great-grandchildren Jackson, Camella and Isabella. Charlie graduated from Irondequoit High School in 1953. He went into the US Navy and served in the Korean War aboard the USS Macon. After the Navy he went to work at Rochester Products where he met Agnes Haefner and they were married on July 13, 1957. They had five children together Sue, Chuck, John, Jim and Laura. Charlie opened the Silver Horseshoe Bar and Restaurant in Brockport, NY and was there for about five years. When the restaurant closed Charlie worked at various places around Rochester - McGreals, Mardi Gras, Koerner Ford, Cinema Lounge, Rochester Airport Bar and even delivering pickles to area restaurants for his cousin. He always wanted to own his own place again so he opened Charlie’s Place on Broad St. and with his determination he made it successful. Charlie met Charlene Hunt and her son Jason, and soon to follow was a son they had together, Eric. In 1975 Charlene and Charlie bought the Springbrook Inn in Caledonia, NY right in front of the NYS Fish Hatchery. It was not a thriving business when they bought it, but between their hard work and the help of a great staff and loyal customers it soon became a well-known destination. After many years, Springbrook was sold and Charlie retired with the company of Diane Smith. 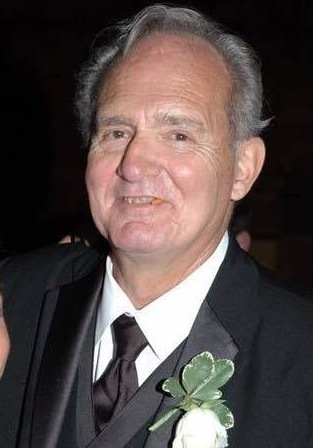 Throughout the years Charlie loved to socialize with friends and customers, play golf, bowl, ski, travel, dance, play cards and he was a devoted Bills fan. Charlie loved to have an audience, whether it was engaging in conversation with someone new or telling one of his many stories. He will be missed by many. Family & friends are invited to Charlie’s Funeral Mass on Friday, September 8 at 1 pm at Holy Ghost Church, 250 Coldwater Rd. A Celebration of Charlie’s Life will follow the Mass at Black Creek Park, Woodside Lodge. Private burial.